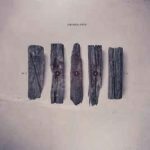 Background/Info: The Psychic Force is one of the numerous 90s bands, which after a hiatus of more than 20 years has been reactivated. Michelle Christiansen and Jörg Charnowski gained some recognition during the 90s. They released two albums on a small, but interesting label (KM-Musik) and even had some hits like “Mutilation” and “Twilight Zone”. They came back to life in 2015 with the EP “Relapse” and have now accomplished their third full length “Welcome to ScarCity”. Joining hands with Alfa Matrix is already a successful comeback and a consecration for The Psychic Force. Content: I get the impression that the German duo went on where they left off. The music became more elaborate, but remains faithful to the dark-EBM style they created during the 90s. The opening (title)-song gives me the feeling of entering a surreal universe of dark themes. “Twilight Zone” coming next is a new version of their legendary hit and perfectly represents the ‘new’ sound of the band. The influences remain the same and you can feel this good-old 90s touch supporting the tracks. The vocals are more spooky, sometimes whispering and less harsh than in the past. The limited edition reveals a great cover version of “Someone Somewhere” originally composed by The Klinik. We next get remixes by Eisfabrik, Intent:Outtake, Ad:Key, Attacke, RaHen, ReAdjust, Acylum, Akalotz, Alphamay, D-F-O-W and Silicon Avatar. 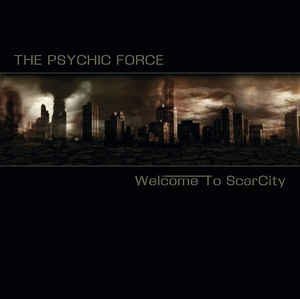 + + + : The work of The Psychic Force is enjoyable and will appeal to lovers of dark-EBM. I noticed an interesting progression in global songwriting and a more open-minded approach to experiment with other influences. I’m referring to the somewhat groovy-like “Teach Me”, the more robotic-pop driven “Accelerate” and the well-crafted “Blowback”, which reminds me a bit of Aiboforcen. I also have to mention “Vater EBM” for its funny lyrics referring to electronic body music and some of the genre’s major bands in history. The extra disc features a great cover of The Klinik and multiple great remixes. My personal favorites are the ones from Eisfabrik, Intent:Outtake, RaHen, ReAdjust and Akalotz. – – – : “Welcome To ScarCity” is a cool album featuring several interesting songs, but I’m missing a climax in the global production. I’m missing some power that could elevate the songs to an extra volume and that’s maybe what a producer could have added to this album. I imagine this album having been produced by Seb Komor and it would have got extra power and volume. 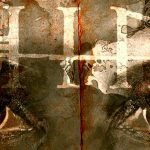 Conclusion: The Psychic Force is filling a hiatus of more than 20 years with a new dark EBM driven work. It sounds pretty 90s with a more contemporary touch on top. The songs are more polished and sophisticated, but I’m sure this band can do better on their next opus. Best songs: “Accelerate”, “Welcome To ScarCity”, “Drive”, “Vater EBM” + “Someone Somewhere”, “Die In The Clinic – Eisfabrik Remix”, “Accelerate – Intent:Outtake Remix”, “Die In The Clinic – Remix by HaHen”.